Take advantage of all the functions offered by your Baja-series flash with this BRT-626N HSS Transmitter from Dynalite. This model is dedicated to Nikon cameras and features a standard foot for mounting to your camera's hot shoe. Using a 2.4 GHz radio frequency, this transmitter will allow you to trigger your flashes from up to 590' away. It offers 16 channels as well as six groups for minimizing interference and setting up more elaborate lighting setups. Another benefit of this transmitter is that it offers six stops of remote power control in 1/10-stop increments. On top of this, it has support for high-speed sync at up to 1/8000 second and has been updated from its predecessor with more intuitive controls and switches for certain settings, including HSS. Box Dimensions (LxWxH) 15.2 x 8.1 x 2.35"
Can you use the default receiver that comes with the Dynalite Baja B4 or do you have to get a Dynalite receiver for Nikon? 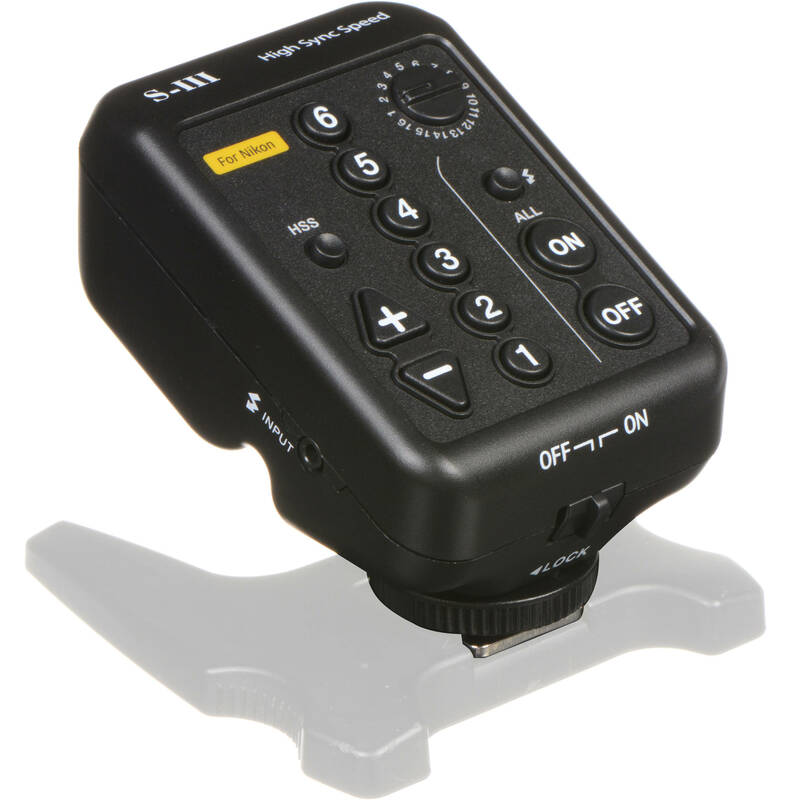 You may use the default receiver included with the Baja series monolights. Yes the Mini USB port on this transmitter is for firmware updates as they become available. What is the purpose of the usb port on the side of the transmitter? Is it for firmware updates? The USB port on the side of the transmitter is for firmware updates.